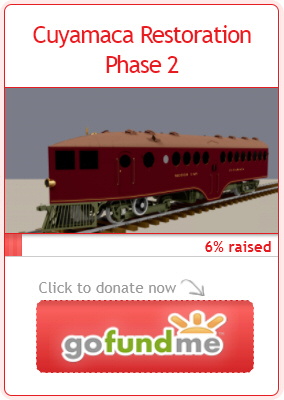 Carolina Clinchfeild & Ohio Railway | The McKeen Motor Car Website Carolina Clinchfeild & Ohio Railway | The Compendium of Knowledge on the McKeen Motor Car Company, and their experiments. McKeen Concrete Car Mixer at the center of two bins filled with sand/stone and water. 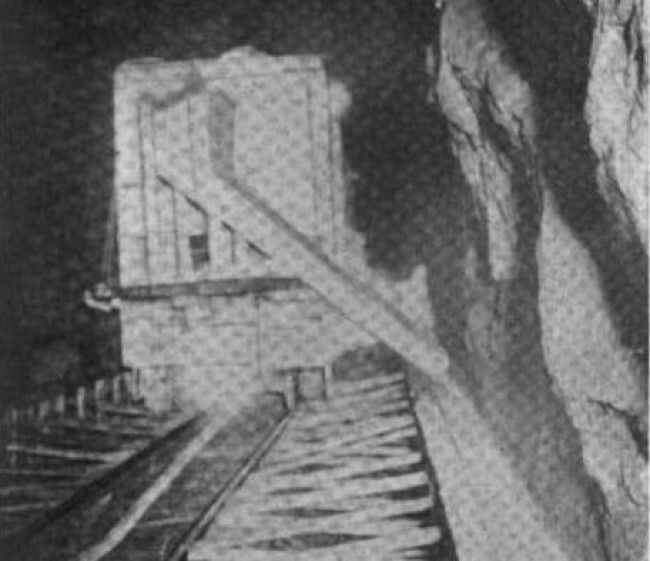 McKeen Concrete Car in Operation Lining Tunnels on the Carolina Clinchfield & Ohio Railway. After the McKeen Concrete Car lined the tunnel walls. The new system for complaint concrete now to the place for is to be used employs compressed air and that concrete travels at the rate of 50 feet a second. It is especially applicable for lining tunnels with concrete. The mixing may be done outside the excavation and the concrete conveyed by a pipeline to the point of use. 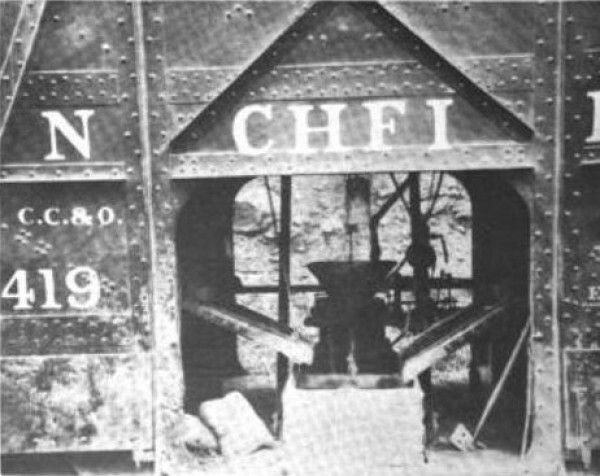 Or, to cite a recent instance on the line of the Carolina, Clinchfield & Ohio Railway, the mixing may be done on the spot upon a movable car. 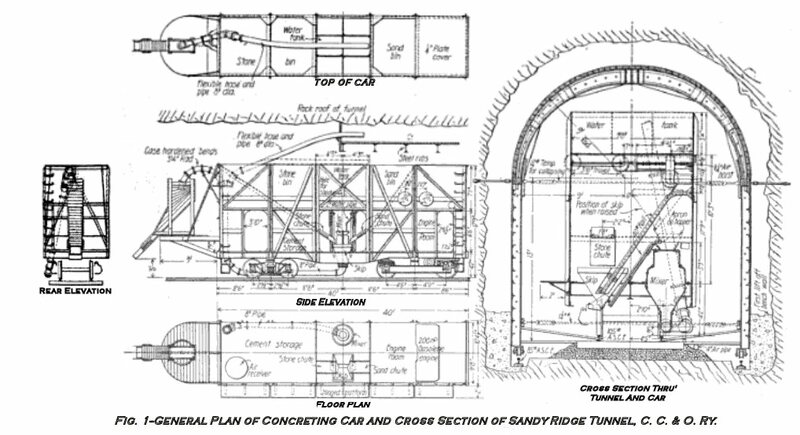 It was desired to put the concrete lining into sandy Ridge Tunnel near Dante, Va., Without shunting off the railway traffic through it. The concrete required amounted to some 50,000 or 60,000 cubic yards. A steel car was a specially constructed, and provide with a gasoline equipment by means of which it and made to propel itself. Hathaway beeps and the ends is located the mixing compartment-open on both sides of the car. At a higher level, extending the whole length of the car, are located the stone bin, the water tank in the sand bin. The gasoline engine is located at one end of the car beneath the sloping bottom of one of the bins. Beneath the sloping bottom of the other bin is placed the air receiver and the bags of cement. When the supply of compressed air runs low, a fresh supply may be taken from an air main running through the tunnel. The mix and chamber contains two principle pieces of the apparatus. One is the mixer itself, placed on one side of the car. The other is the charging skip. It’s permanent place is on the other side of the car between the two suits. When the chutes have delivered their materials and the cement has been dumped in by hand, the skip is hoisted by compressed air and made to dump its contents into the mixer. 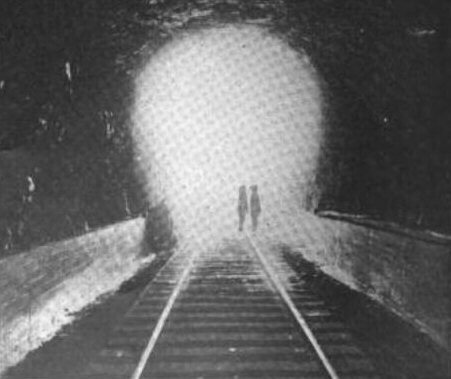 Inclined rails guided from its permanent place to its transient position above the mixer. Compressed air is used to perform the mixing, the conveying and the placing. The conveying is a short affair. 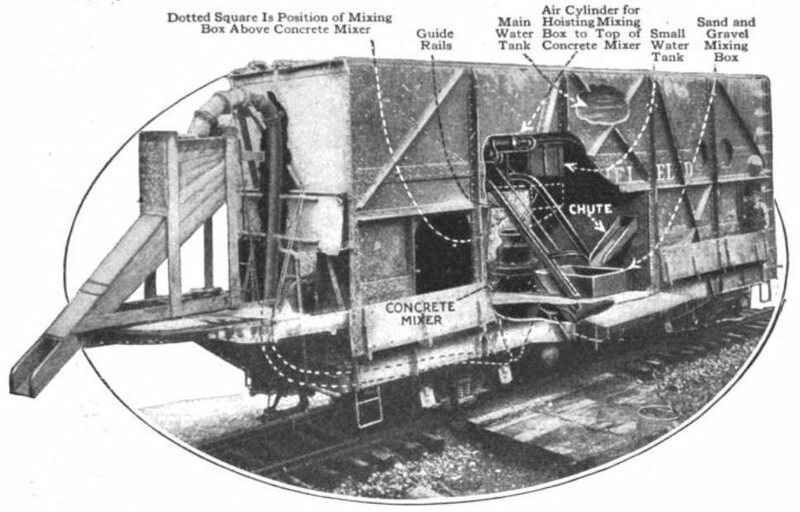 A suitable pipe takes the concrete from the bottom of the mixer beneath the car and up to an elevated position at one end of the car. Here the pipe divides into a Y, associated with which is a sliding plate to control the movement of material into either arm. One arm of the Y is used when placing concrete and the sidewalls and foundation; the other, when placing it in the arch.